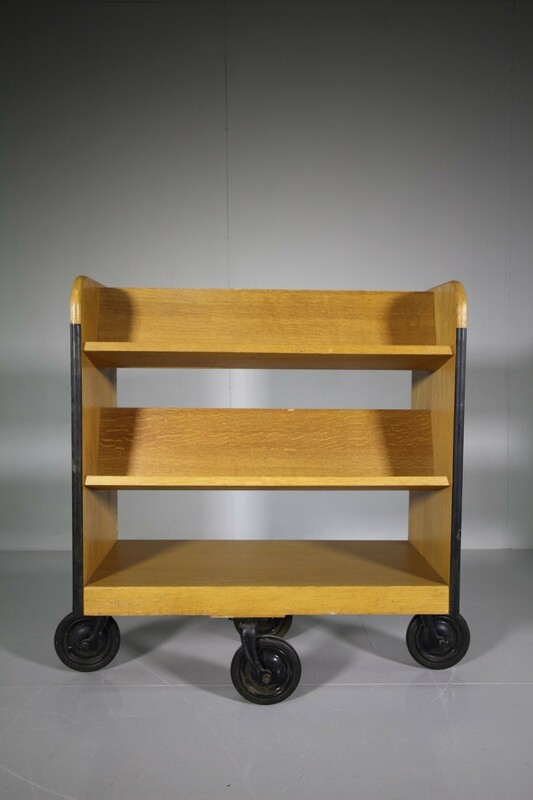 This is a super quality, solid English oak library trolley that is in very good, original and clean condition. 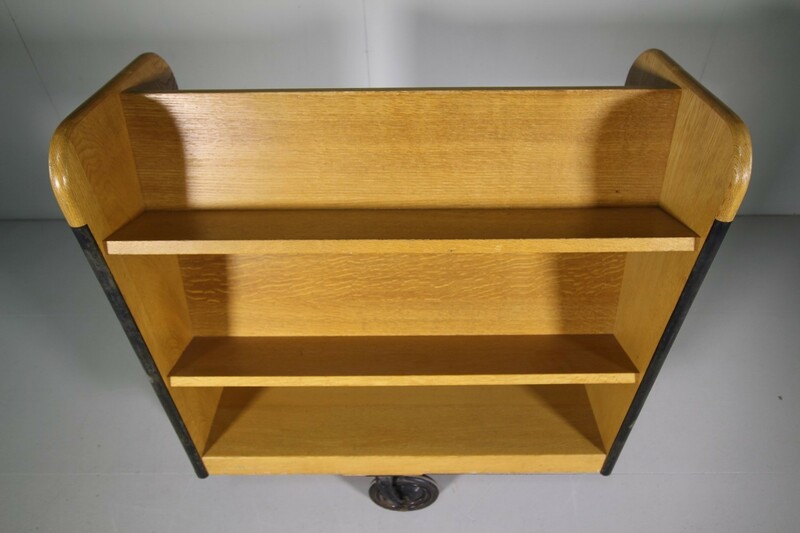 Double sided so can hold a lot of books, moves freely around on large original wheels. 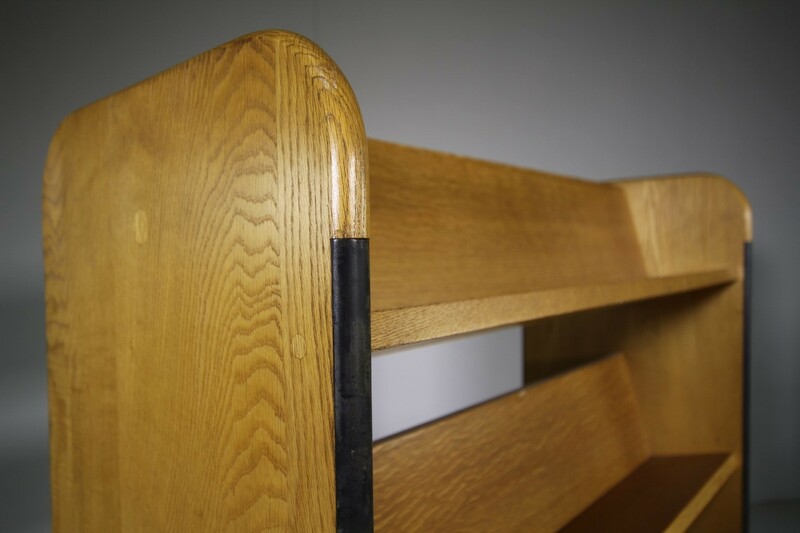 Perfect to use in a home libraray, shop or childs bedroom.